Technology, safety and security are key trends for the year ahead, according to CWT's Meetings and Events Forecast for 2017. 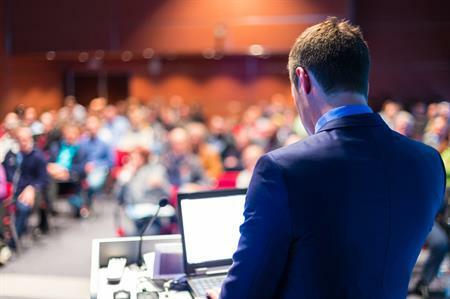 The report showed that although a number of technology advancements are continuing to raise the bar and are allowing greater possibilities in the meetings and events sector, the industry is not always rising to the challenge. Small meetings make up 70- 80% of all meetings but available technology solutions are not necessarily responding to marketplace demands. The also report showed that virtual attendance is becoming increasingly popular across meetings and events functions. The use of technology, such as Facebook Live’s video streaming, means no one is excluded due to geographical location and that two-way interactions are possible. Other trends include the importance for buyers to produce information on all meeting attendees, to facilitate emergency planning. Additionally, the cost of food and beverages is expected to rise globally due to increased production prices, changes in imports and exports, and growth of special dietary requests from attendees. Meanwhile North America is expected to move to a 'buyer’s market', with hotel supply expected to surpass demand for the first time since 2009. Meeting planners are advised to be flexible with destinations and dates to take advantage of this market change. In Brazil, hotel rates are expected to decrease, as the recent World Cup and Olympic Games created a solid infrastructure and a supply surplus. For the Asia Pacific market, costs per attendee and group size are expected to grow with a 25% increase in the number of meetings. In Europe, strict company guidelines, reduced budgets, saving targets and increasing industry regulations for buyers could benefit midscale hotels poised to get more M&E bookings. Commenting on this year’s findings, Cindy Fisher, vice president and global head of CWT Meetings & Events, said: "Heading into 2017, our forecast predicts significant growth in meetings and events for regions around the world. By being flexible with timing and destinations, planners can take full advantage of the current market to optimise their meetings and events and produce better results." Pharmaceutical Sector: Sweet medicine or a bitter pill? CWT’s Meetings and Events Forecast for 2017 shows technology, safety and security as trends for the year ahead.